Searching for a wedding officiant? We’re here to serve you! To create a legal marriage in Arizona, law requires Arizona Judges or Arizona Ministers to perform a ceremony in which the couple is pronounced “married.” If standing before a judge is not part of your dream wedding ceremony, please read on and consider Arizona Ministers. Many tell us that we relieved so much of their stress, that our positive leadership and calm demeanor allowed everyone to relax and enjoy their ceremony. Making couples happy on their wedding day is our highest priority. We would love to do our part to help create the perfect wedding ceremony for you! You can trust Arizona Ministers to lead the most meaningful and intimate public moment of your wedding day. We know you are searching for the very best, most experienced and personally verified wedding ceremony officiants in Arizona. 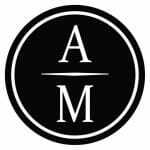 Arizona Ministers is Arizona’s first and foremost wedding officiant association. All of us are college graduates, duly ordained by authentic churches and have records of leadership in those churches, hospitals and other public institutions. If experience counts, we have performed more than 15,000 Arizona weddings. 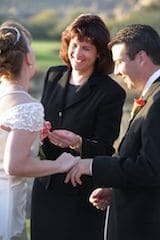 Some couples may have different faiths or might not even ‘be religious,’ but would enjoy the celebrating services of a caring, open-minded, dignified, and creative wedding minister. Our romantic, unreligious civil wedding ceremonies are among the most appreciated and enjoyed! We are known as prolific writers and dynamic storytellers who love to speak about love. You’ll never find us judgmental or imposing any beliefs. Coming to Arizona for a destination wedding and don’t have a trusted clergy connection? Between churches and haven’t met a qualified wedding officiant, minister, judge, wedding pastor or priest to perform the marriage ceremony? If you do not belong to a church or know a friendly minister to perform your wedding ceremony in Arizona, you have come to the right place. Are you searching for wedding ceremony ideas? With Arizona Ministers you can write your own vows or personal words. Your customized wedding ceremony may include a traditional Unity Candle, Sand Blending, Anniversary Wine Box Sealing, Bell of Truce, or you can “tie the knot” with our original Golden Cords Ceremony. You can also have a very simple ceremony. We’re here to lead, not push you! We are leaders, not readers. We’re here for you, too. What to do? See for yourself why we might be just right for you. Schedule a complimentary “get acquainted” consultation! We want to hear your love story and wedding ceremony ideas. We can explain everything clearly and help you visualize your entire wedding ceremony. We try making this meeting as exciting as the ceremony itself! You will not doubt our passion for your satisfaction. First we need to determine our availability for your wedding date, time and location. Our calendar fills quickly, so those who call early usually get us. If we can’t officiate your wedding we will introduce you to someone else from Arizona Ministers you will love. Call 480-502-0707 (8:00 a.m. – 5:30 p.m.) Please note: we serve by appointment only for everyone’s privacy. EMAIL US | Thanks for visiting! HELPFUL TIP: The Marriage License Office is located two traffic lights east of our Phoenix Wedding Studio. Schedule an appointment to meet us during the day and purchase your marriage license on the same trip!